Nylon continuous eye wide slings are designed to provide maximum load stability for heavy loads in basket hitch lifting. 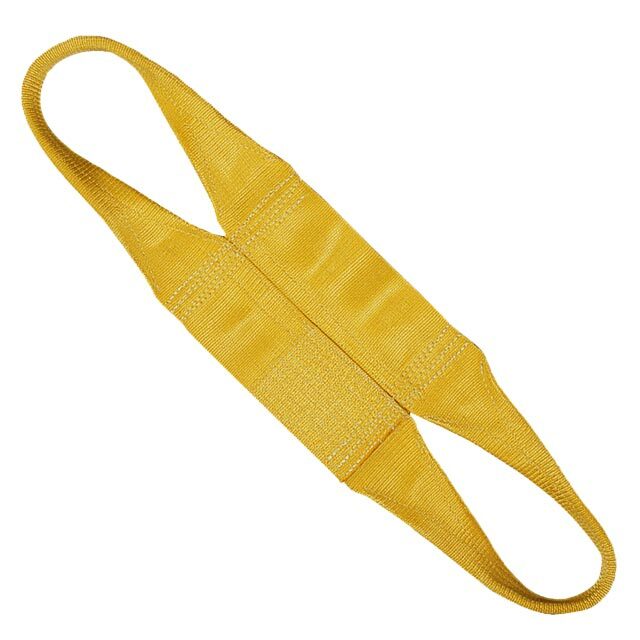 Also known as Cargo Slings, these lifting straps feature an extra wide continuous eye body joined side by side with tapered eyes. CORE™ Nylon Continuous Eye Wide Slings are constructed with quality in the USA. Our heavy duty nylon webbing is treated for added abrasion resistance. CORE™ Continuous Eye Wide Slings come standard with a heat-imprinted tag and meet or exceed all present OSHA and ASME B30.9 standards. 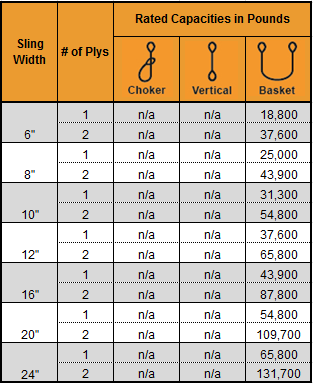 Continuous eye wide slings are available in a variety of capacities and configurations. Contact our lifting experts at 888-794-0587 Monday - Friday, 7am-5pm CDT and let us offer the best industrial lifting solution for your application. CORE™ Industrial Slings also offers Reverse Eye and Eye Slings which are similar in construction but have a narrower sling body and lower load bearing capacity. Attached eye wide slings are also available for lighter applications where additional width is required for load support.